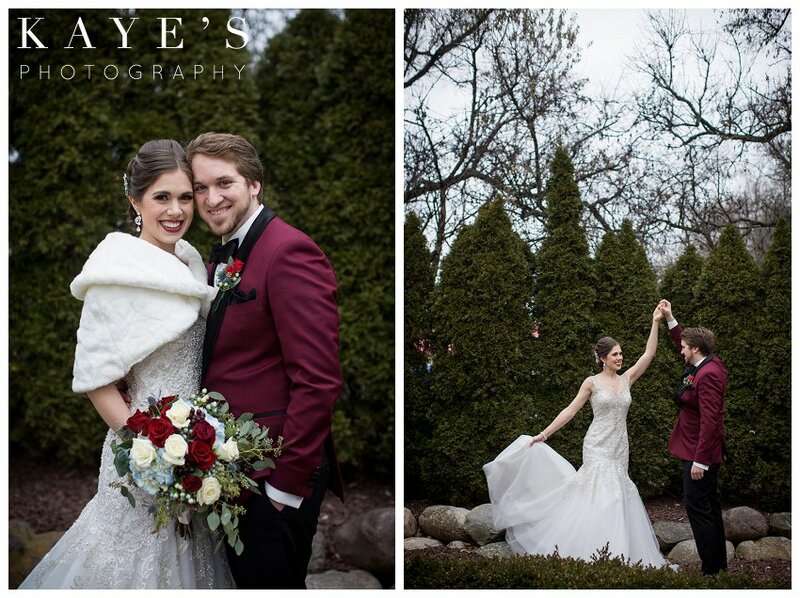 We have been so excited for this gorgeous winter wedding for so long! Unfortunately Mother Nature did not cooperate with us to give us a layer of that beautiful white stuff for amazing snow wedding portraits BUT honestly Rebecca and Wolfegang were such amazing troopers through the whole day! 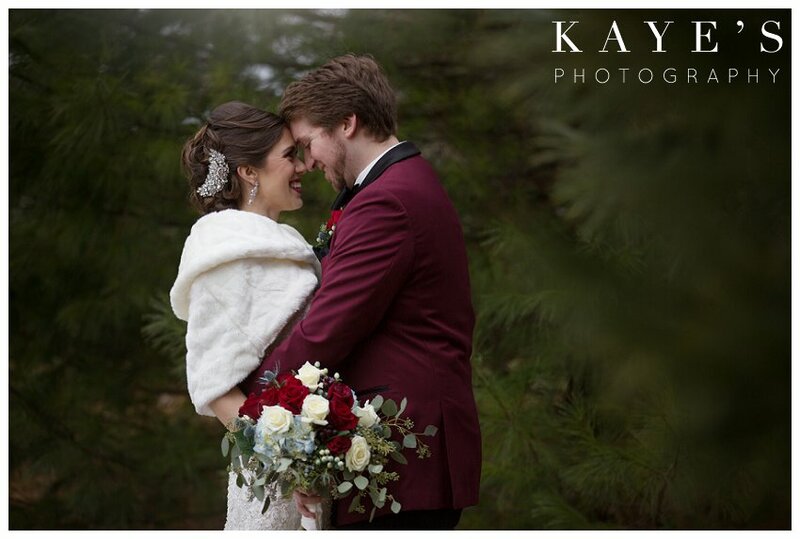 They also had an amazing wedding party that wanted to make sure that the two of them had gorgeous outdoor portraits despite the cold temps! I believe that Rebecca did a great job at adding in a touch of Christmas but not letting it overwhelm their day even if it was only a few days away, but Crystal Gardens also helped amazingly with this as they had a huge tree set up by their classic staircase and this just upped the classic, timeless look that all of my brides love! Now one thing that I HAVE to bring attention to is that sweet, sweet groom seeing his bride for the SECOND TIME!! This is probably the NUMBER ONE question or push back that I get from my couples about first looks! 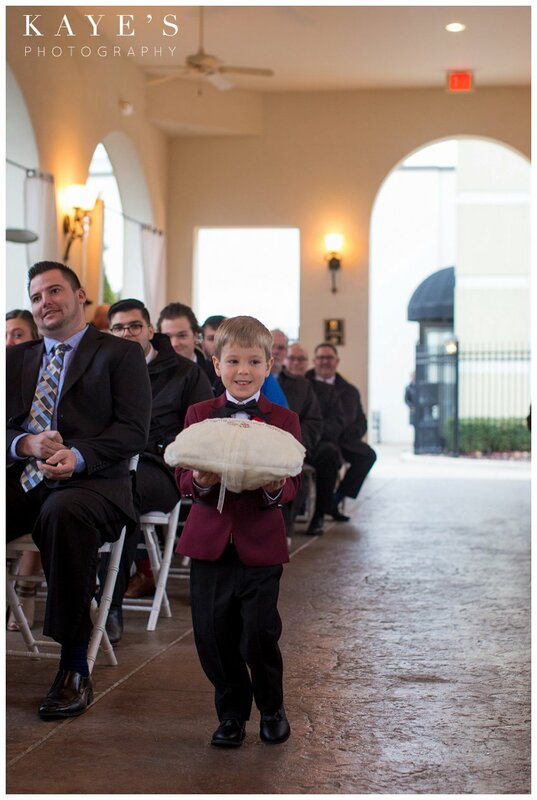 The groom wants that moment as his bride is coming down the aisle! Well this is proof in the PUDDING ladies that he will still have it. I believe that it actually allows BOTH of you to soak in all the emotions because the anticipation and nerves are not so built up at this point that you can just ENJOY your day! Yes, this bride and groom had an amazing, tearful first look together intimately before their ceremony. 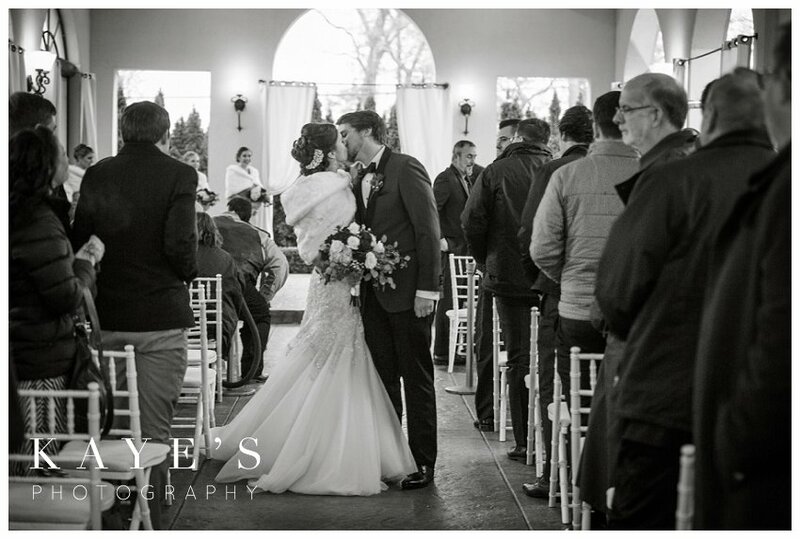 There were many tears and a few moments for those two just to enjoy each other! And then when Rebecca came down that aisle to meet her husband at the end of it they both were sobbing!! What amazing moments these two where able to have on their special day! 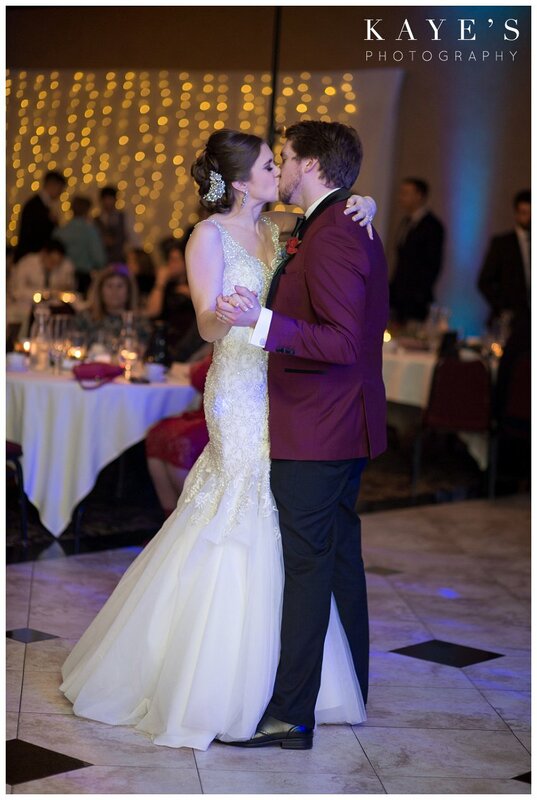 I hope you enjoy this sneak of their day, don’t forget to leave us a short message at the bottom letting us know what your favorite image is! !